to businesses throughout the St. Louis, Missouri area. 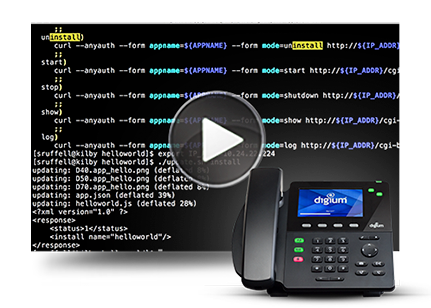 The Digium Switchvox PBX makes it more affordable and simpler than ever for your business to communicate. More than just an IP phone system, the Digium Switchvox delivers flexible and powerful Unified Communications tools, robust calling features and improved mobility. Your business needs an IP PBX that is flexible enough to keep pace with your rapid organizational changes. Digium’s Switchvox is the only solution that seamlessly grows and adapts with your business. Unlike other IP phone system solutions, Switchvox uses the same robust software, regardless of how it’s installed. That means your business has the ability to move from an on-premises deployment today, to a cloud-based deployment tomorrow – quickly and easily. A revolutionary touchscreen IP Phone, the D80 features a 7-inch HD display with multi-point capacitive touchscreen, 100 rapid dial/busy lamp field (BLF) entries, dual 10/100/1000 Mbps Gigabit network ports and advanced touch-optimized applications. This model is ideal for all users who want an exceptional and easy-to-use interface with the highest level of quality. An executive-level, feature-rich, HD phone with a 4.3 inch color display, 6-line keys with 20 pages of up to 5 rapid dial/busy lamp field (BLF) keys each, and dual 10/100/1000 Mbps Gigabit network ports. This model is ideal for executives and users who want a color display, top-of-the-line features, and require Gigabit networking. A mid-level HD phone with a 4.3 inch color display, 2-line keys, and dual 10/100 Mbps network ports. The D60 is Digium’s best value for any user who wants a color display but doesn’t require Gigabit networking. Digium Switchvox offers the best solution for your company’s communications needs.. If you desire the simplicity of a hosted PBX , but need the control and power of an affordable business phone system, Digium has you covered. 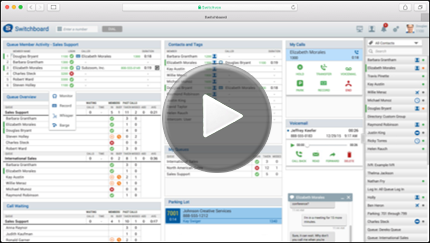 The Switchboard is an advanced user productivity tool included for every Switchvox user. Switchboard gives each user their own bird’s-eye view into what is going on with the company’s telecommunications, in real time. Gone are the days of clumsily searching for the transfer button, or searching a typed-out list of extensions for the person you need. With Switchboard, it’s as simple as a click on a name to dial. You can also quickly send a call directly to someone’s voicemail or mobile device, further simplifying your office communications. The App Engine interfaces with the phone’s core features and allows any web developer to simply build an array of apps for any purpose, including emergency notifications, weather alerts, call center applications, CRM integrations, business process automations, social media integrations and more. IP phone systems tend to be much less expensive than traditional systems for both local and long distance calling. VoIP services (and IP phone systems) operate over the Internet, which means they are capable of being accessed via a mobile device or most anywhere else there is an internet connection. VoIP resources can often be added or reduced simply and easily, making growing or downsizing less of a hassle. IP phone systems can use auto attendants to answer calls and route them to the appropriate location, saving your business time, money, and frustration. Features such as “Find Me Follow Me,” voicemail to email transcription, and conferencing make staying connected with customers and team members much easier. Features like status indicators, chat, and in-call training tools enable teams to communicate more effectively. VoIP phone systems allow businesses to get better insights into who is calling and what actions they’re taking before and after calls. If you would like additional information about the Digium Swtichvox VoIP Business Phone System, we invite you to fill out the form on this page and someone will get back with you regarding your telephone system needs.